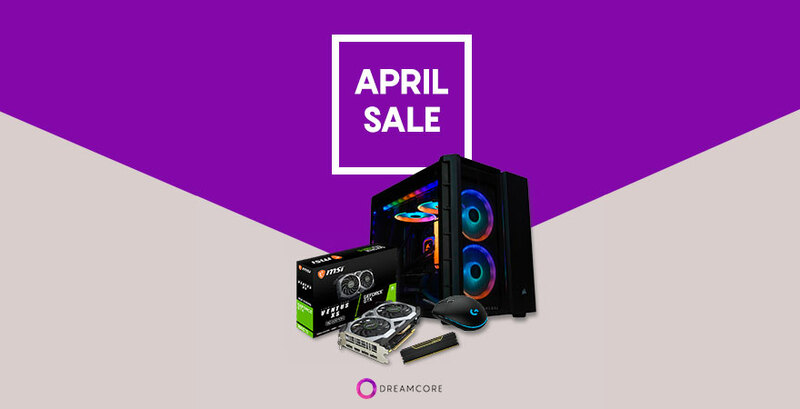 Until 30th April 2019, enjoy the following deals and discounts on your new Dreamcore PCs! The GTX 1660 Ti is, in our opinion, the best bang for buck gaming graphics card for gaming up to WQHD resolution (2560 x 1440), and what’s a good graphics card without good peripherals to support your gaming? For April, pick the GTX 1660 Ti and get the Logitech G102 Gaming Mouse free (worth S$45)! We only have 30 units, so get them while stocks last. For a limited time only, we’re using the MSI GeForce GTX 1660 Ti Ventus XS 6G OC for our GTX 1660 Tis! It features MSI’s clean and timeless white-and-black fan design with a sturdy backplate for great design. Promotions applicable only while stocks last. Above promotions start 2nd April 2019 and ends 30th April 2019. Terms and Conditions from other relevant promotions apply. Terms and Conditions are subject to the Terms and Conditions of relevant partners or manufacturers. Dreamcore reserves the right to refuse a sale if the promotion is abused. Visit Dreamcore at the IT Show 2019!